Discover the most iconic and picture-perfect settings in Austria, mixing dramatic Bavarian castles with spectacular Tyrolean alpine scenery. Discover the most iconic and picture-perfect settings in Austria, mixing dramatic Bavarian castles with spectacular Tyrolean alpine scenery. 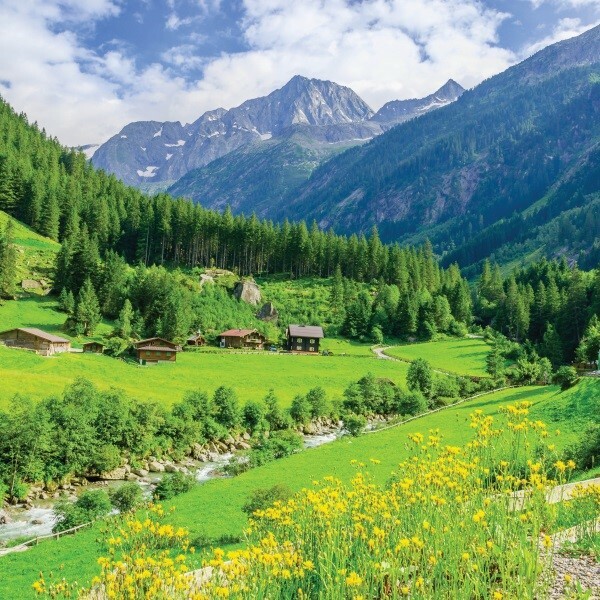 Each year in the Tyrol, over 180,000 cows, horses, sheep and goats spend their summer in the mountains, grazing on new Alpine pastures. In September the cows return home, an occasion celebrated by decorating the cattle with flowers, garlands and bells in recognition of their safe return for the winter months. There is also a traditional Cows Down Festival complete with party atmosphere, music and dancing to celebrate this momentous occasion. Following collection from home, depart East Anglia and travel to Folkestone for the Eurotunnel to Calais. Continue the journey to an overnight hotel in time for dinner. After breakfast, continue the journey through Europe to arrive at the Hotel Edelweiss in Lermoos for the five night dinner, bed and breakfast stay. Today, take a short drive to the Bavarian village of Oberammergau with free time to explore the town made famous by the Passion Play. 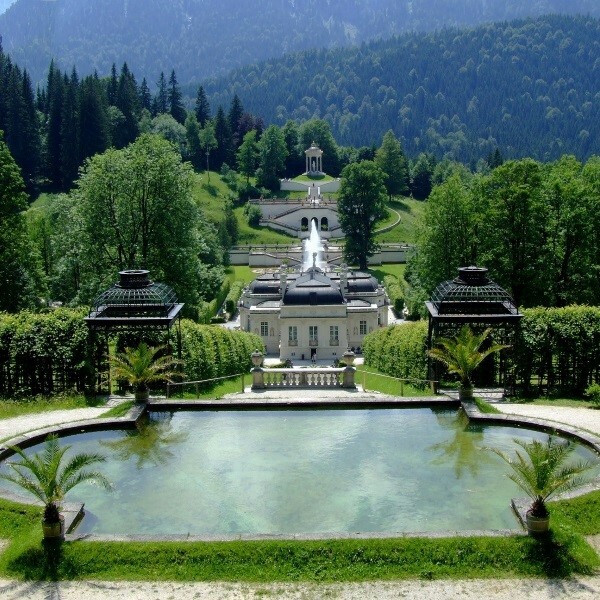 Journey on to King Ludwig's Linderhof Palace, with its intricately ornate interiors. Finally, visit Ettal Abbey, a stunning Benedictine Monastery whose inhabitants are known for their beer and cheese production skills, both of which can be bought in the adjoining shop. It's the day of the 'Cows Down' traditional festival today so it's a free day to watch the cattle procession pass through the beautiful Tyrolean village of Lermoos. The herds are dressed in spectacular headdresses and brought down to the valley for the winter. Peruse the market stalls, filled with wonderful produce in honour of the event. This morning visit King Ludwig's childhood home, Honenschwangau Castle with its richly furnished interiors, exuding a more 'lived in' feel. 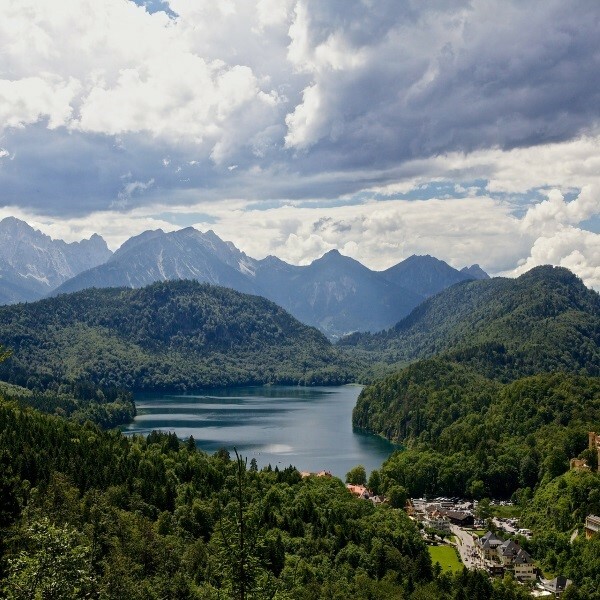 Spend the rest of the day in Fussen with an included boat cruise on the lake. After breakfast, travel to Garmisch for free time. Not for the faint hearted is the ascent up the Zugspitze Austrian side via the Ehrwald cable car. It is an optional extra and payable locally at a cost of around £40 to go up and £35 to descend down the German side of the Zugspitze by cable car then on to the cogwheel train to Garmisch. Say farewell to the Edelweiss Hotel and travel to the overnight hotel in time for dinner. After breakfast, it's time to head back to Calais for the Eurotunnel to Folkestone. Continue the onward journey back to East Anglia where the door to door home collection service will be waiting to return you home. 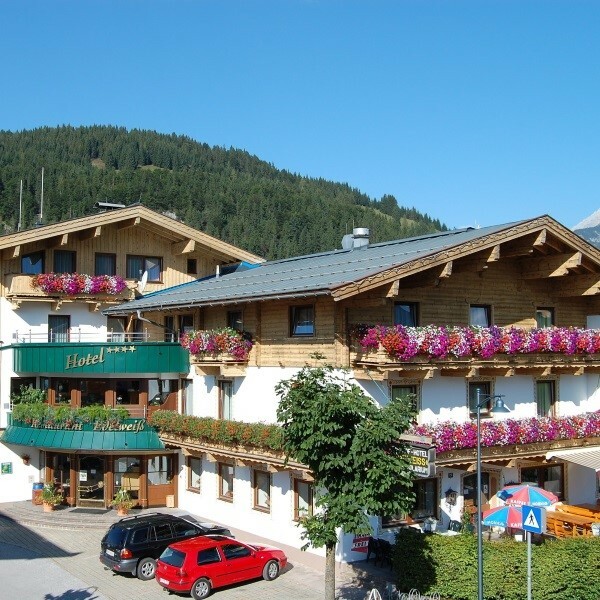 The 4 star Edelweiss Hotel in Lermoos is the mainstay hotel for this tour and is surrounded by the mountains of the Tyrolean Zugspitzarena, amid a stunning natural landscape.